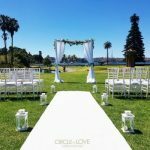 Established in 1816 by Governor Macquarie, Australia’s oldest Botanic Gardens are a highly sought-after outdoor wedding location because of the amazing harbour views combined with beautifully manicured grounds and historic buildings. 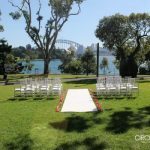 The Gardens consist of a number of lawns and locations that are ideal for a ceremony, all offering a gorgeous backdrop for you and your guests to enjoy. 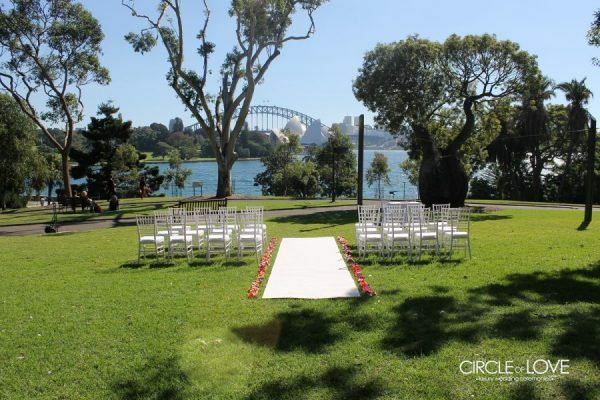 For bookings, visit the Royal Botanic Gardens Website. 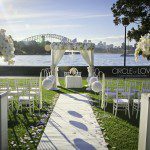 The Royal Botanic Garden offers a range of beautifully restored heritage venues conveniently located in the heart of Sydney. 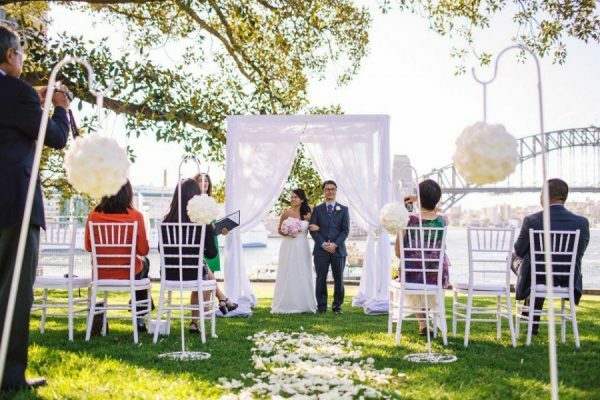 Surrounded by private landscaped gardens and courtyards, our unique venues allow you to create your own wedding design with flexible catering options. 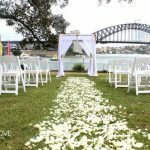 Ideal for cocktail wedding receptions, engagement parties, ceremonies and celebration drinks. A stunning Victorian sandstone lodge boasting a private landscaped cottage garden, large permanent awning and paved courtyard. 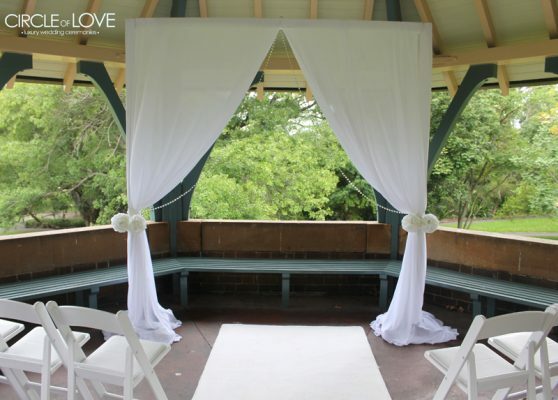 This intimate venue is ideal for both wedding ceremonies and receptions so you can celebrate with your guests in the one location. 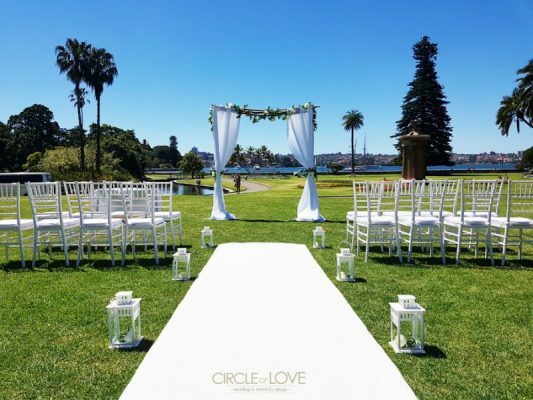 A beautifully restored sandstone lodge surrounded by lush tropical gardens, a unique wedding venue for a truly memorable occasion. The Lodge features a large commercial kitchen, furnished lounge room and expansive terrace areas with the flexibility to set up a marquee. 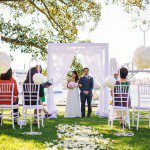 Say ‘I do’ in the oldest glasshouse in New South Wales. 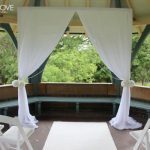 Nestled in a beautiful garden setting, natural light floods this stunning glasshouse, providing a unique venue for wedding ceremonies and celebration drinks. 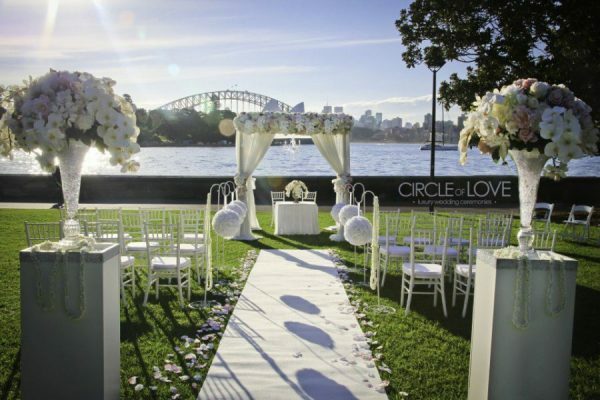 Choose between three breathtaking marquee locations that are sure to impress your guests. 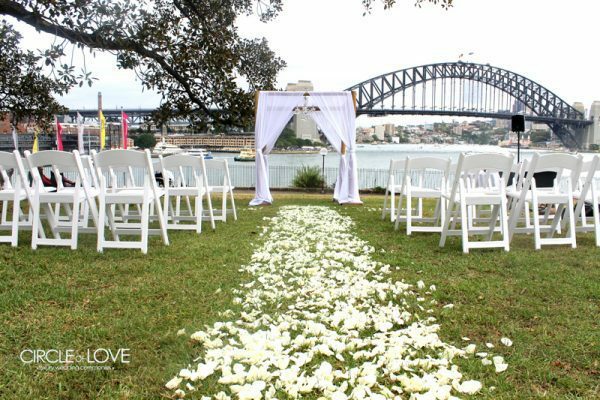 Bennelong Lawn and Fleet Steps offer unobstructed views of the Sydney Harbour Bridge and Opera House, while the Rose Garden boasts a romantic setting surrounded by blooming roses.